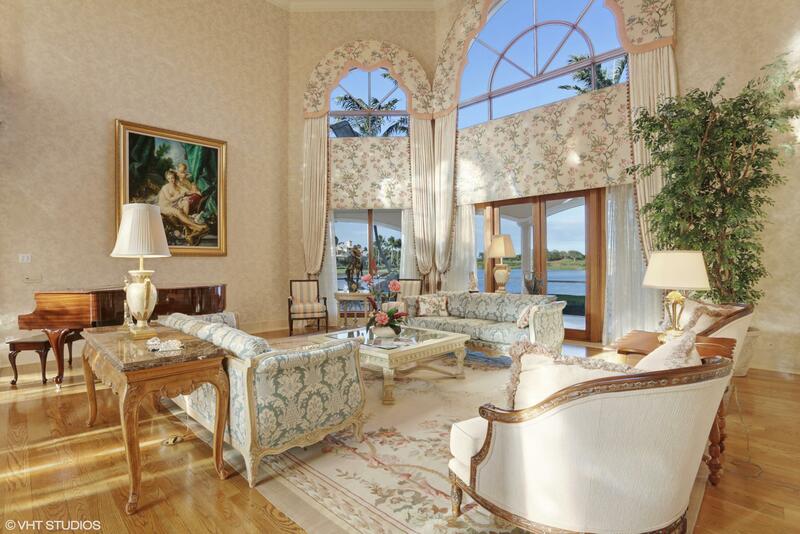 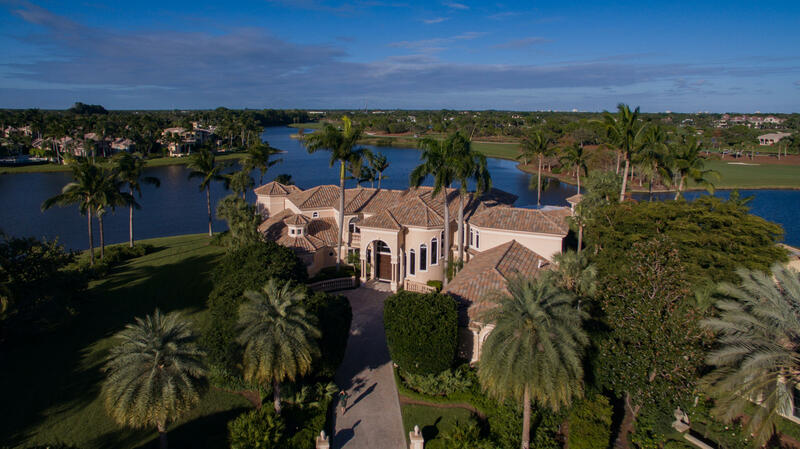 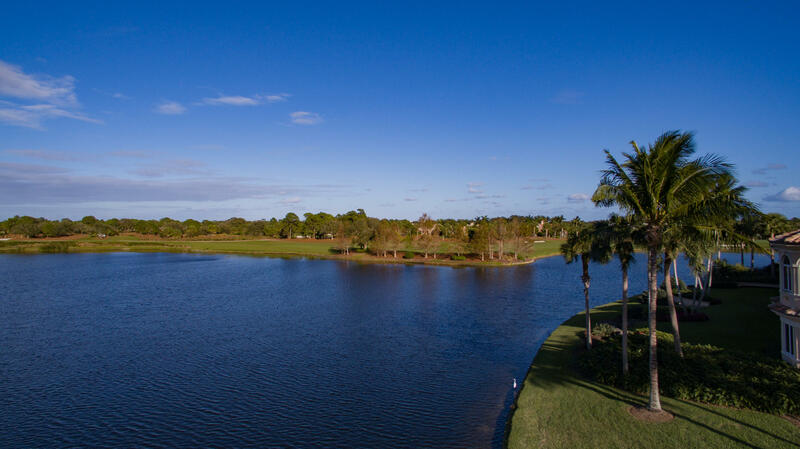 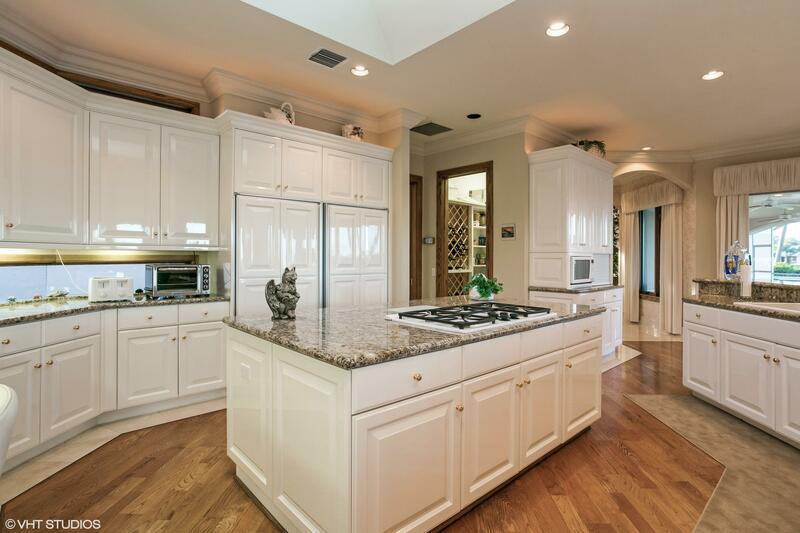 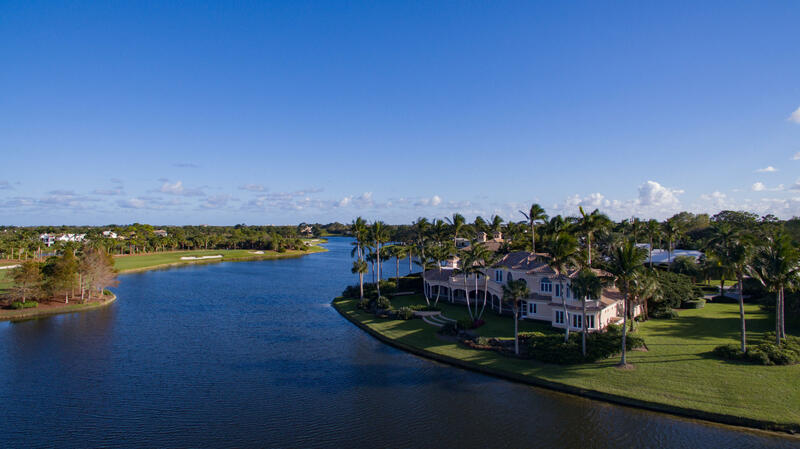 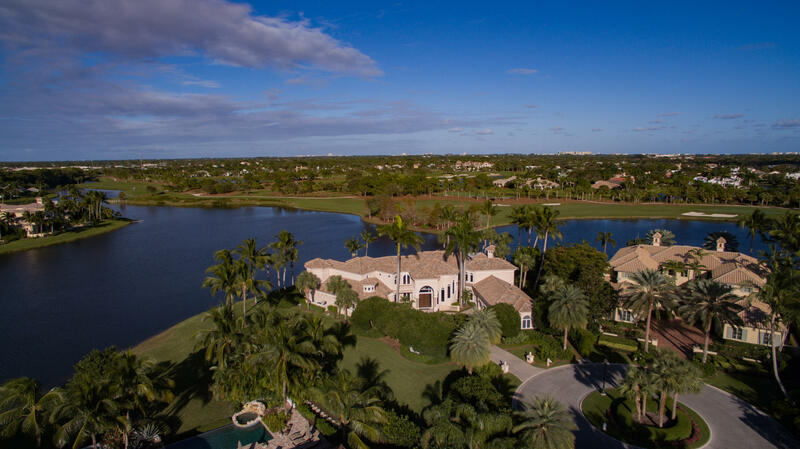 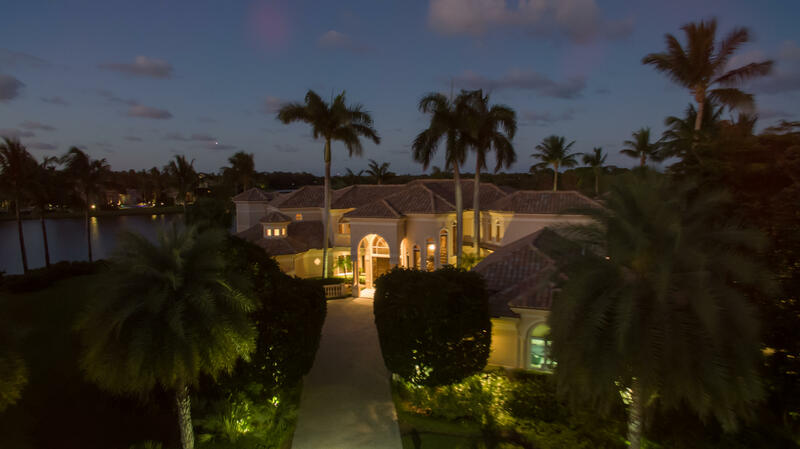 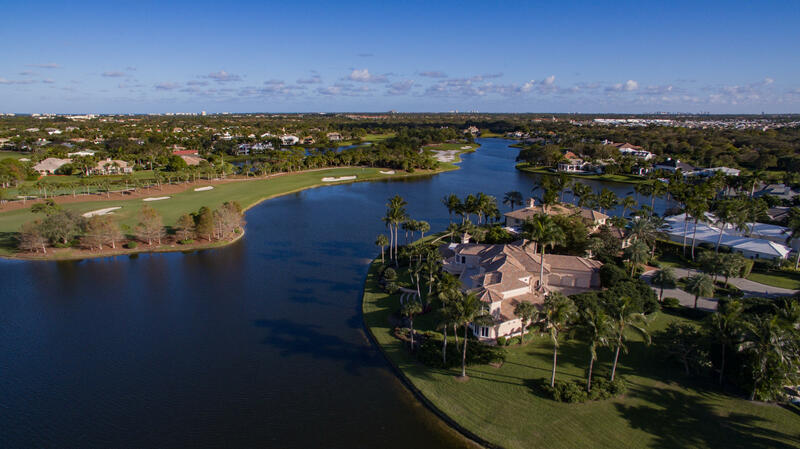 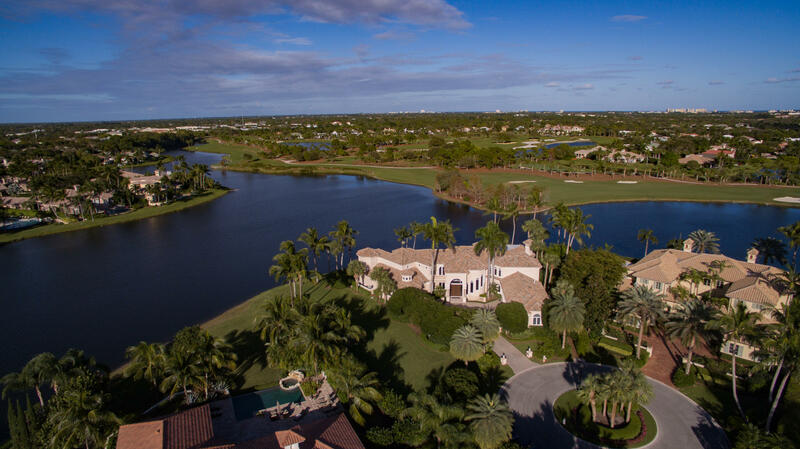 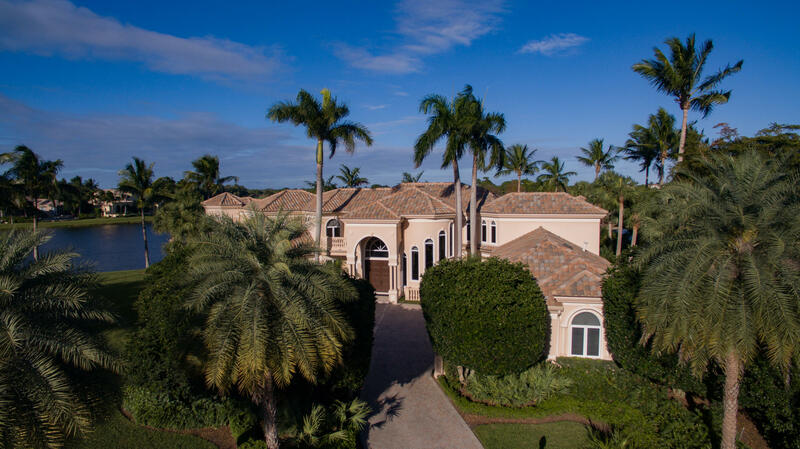 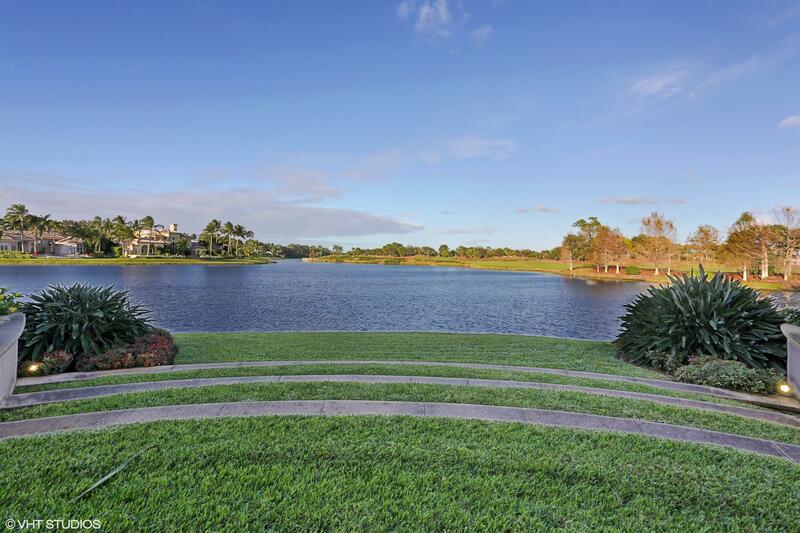 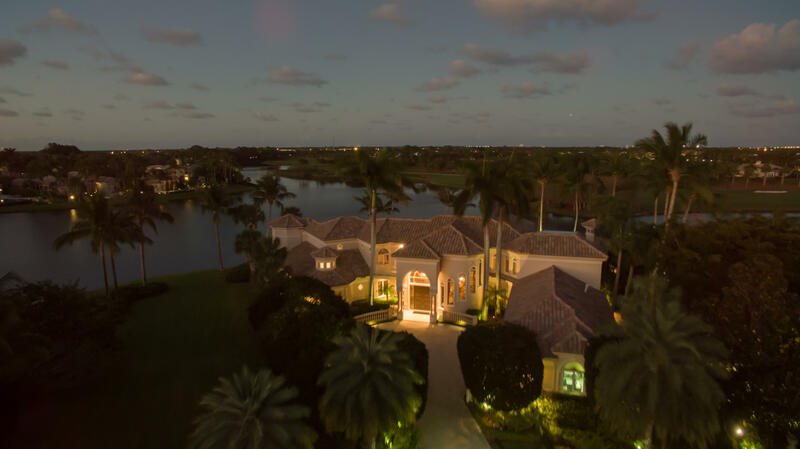 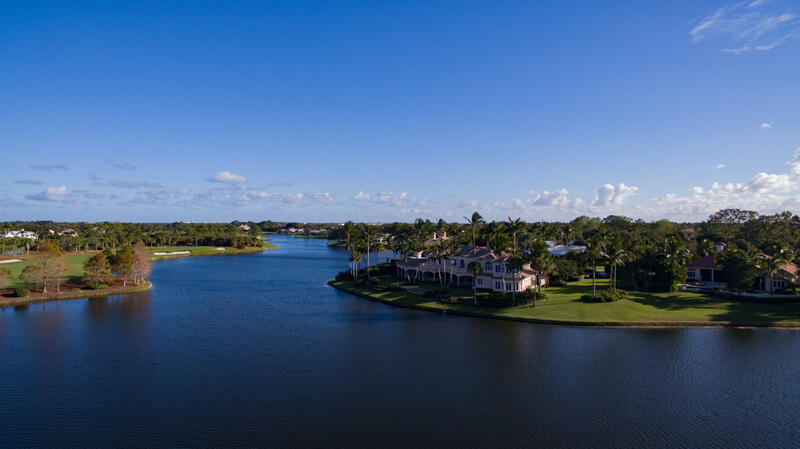 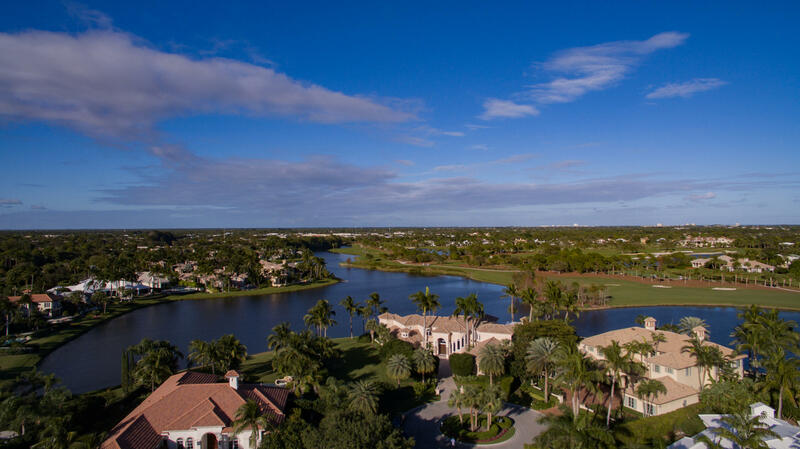 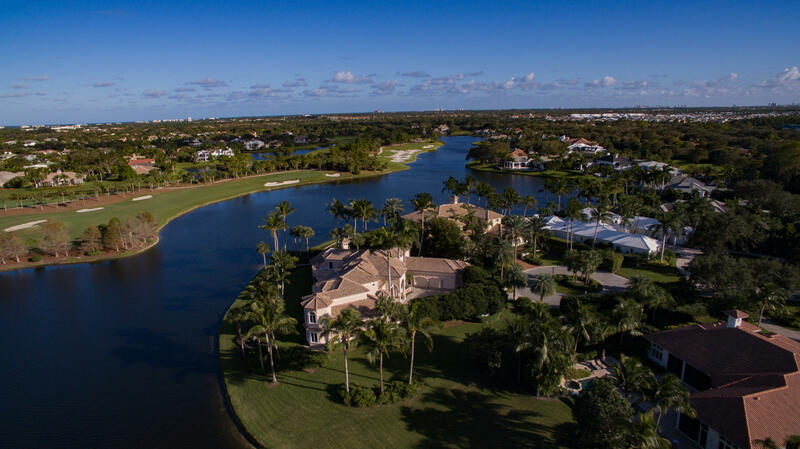 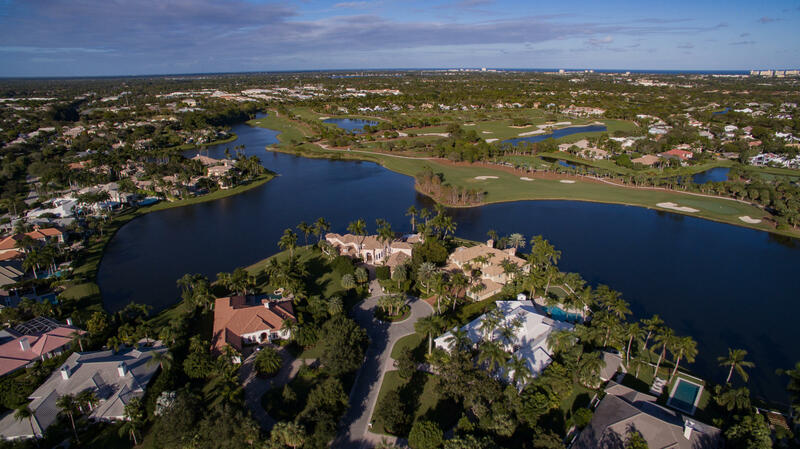 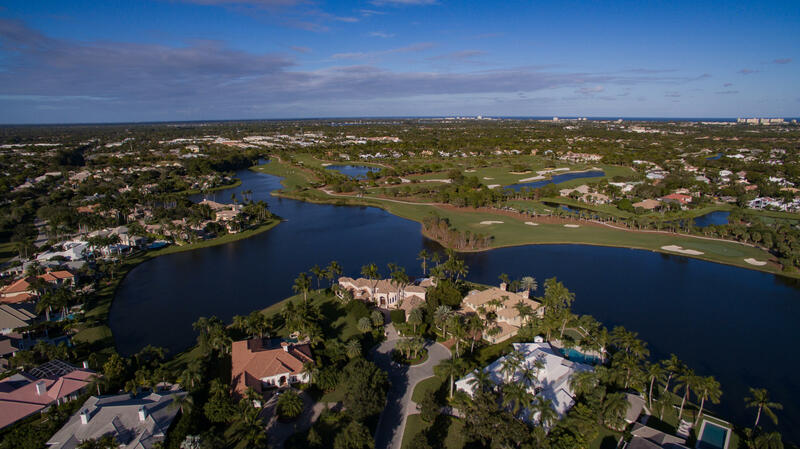 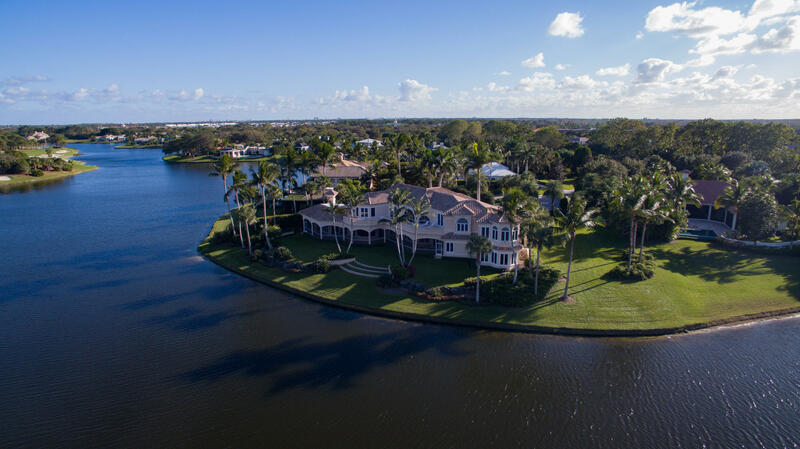 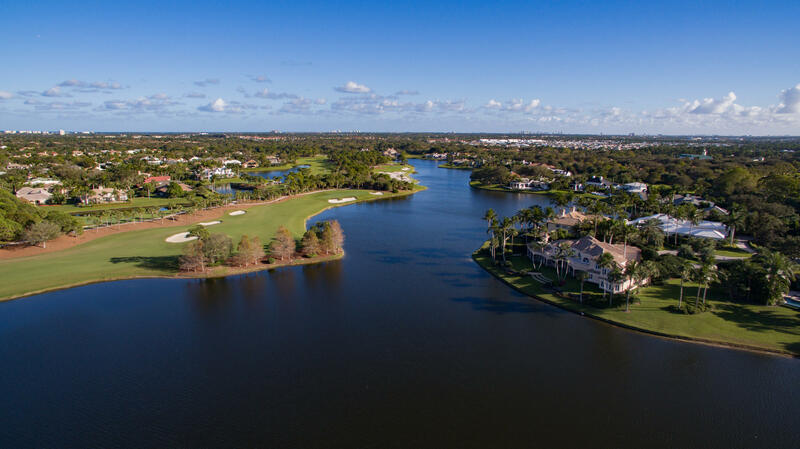 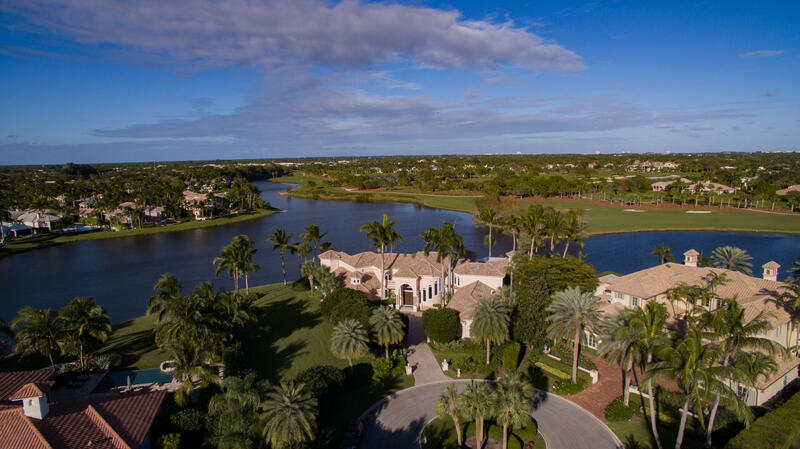 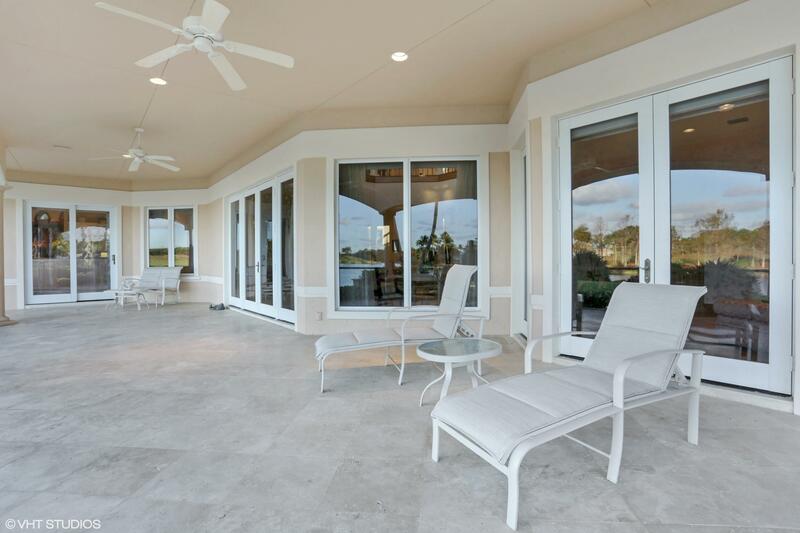 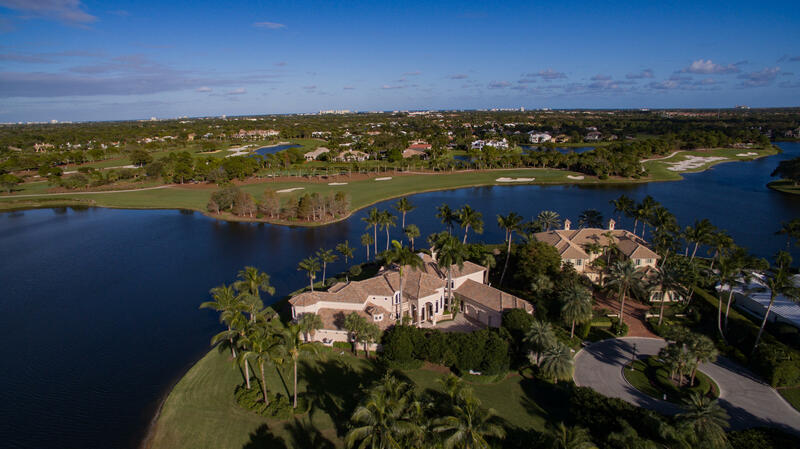 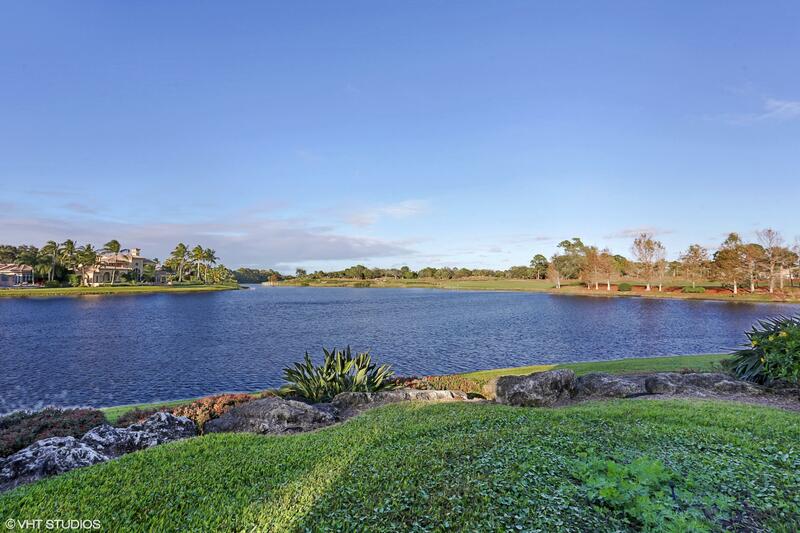 Breathtaking views from this over 7,697 sq ft, 4 bedroom/6.1 bath custom estate home in The Loxahatchee Club. 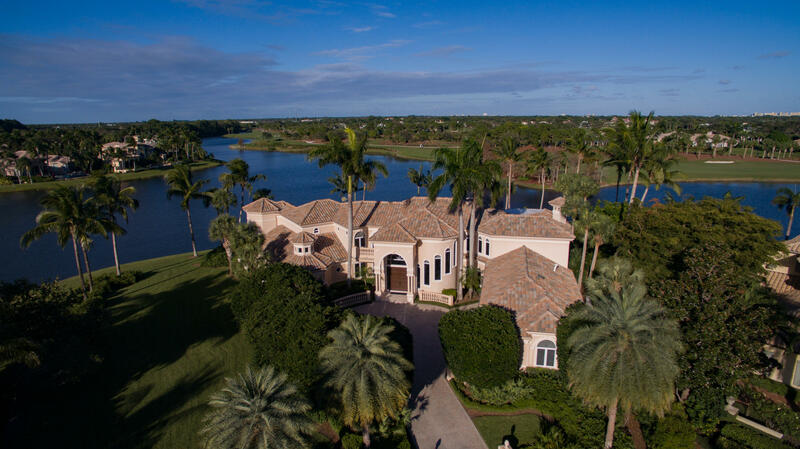 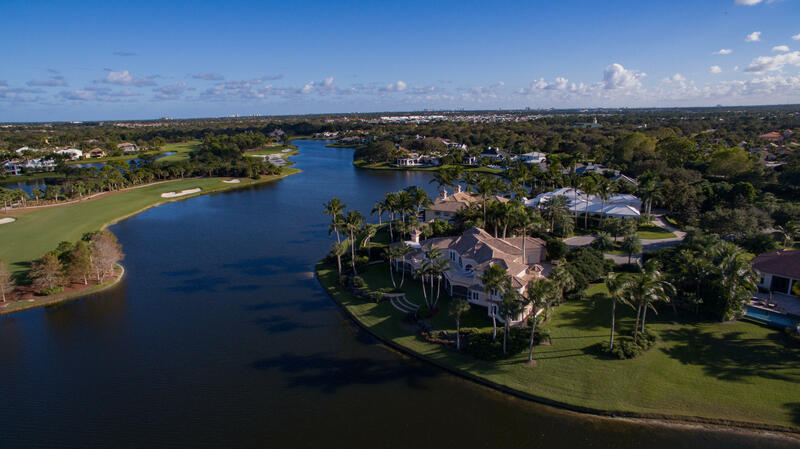 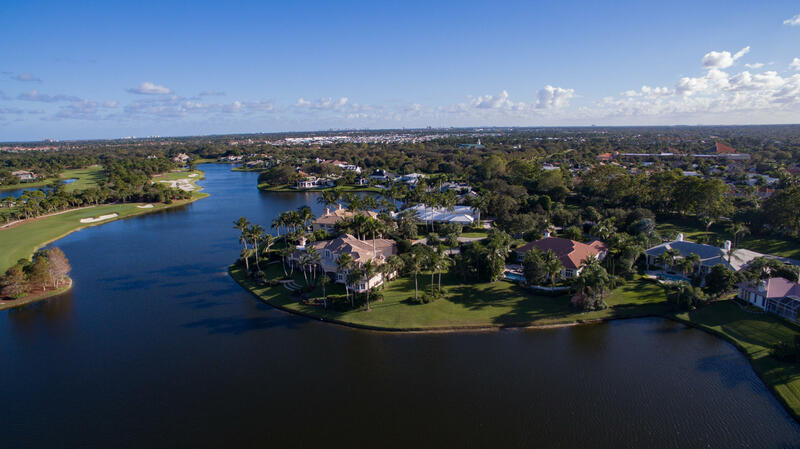 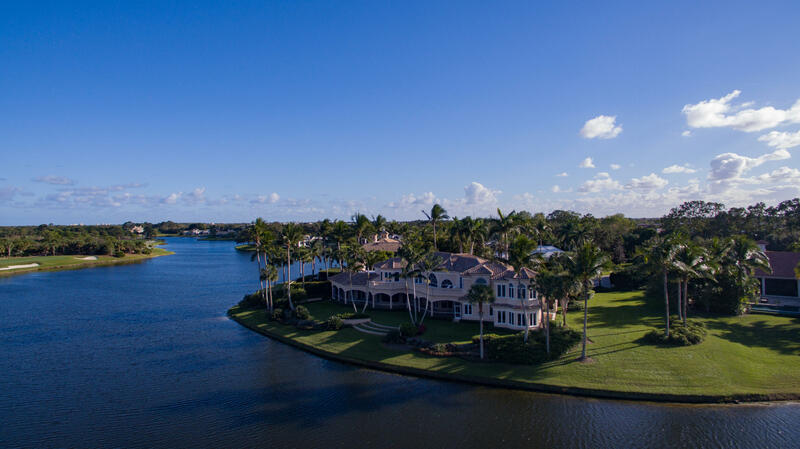 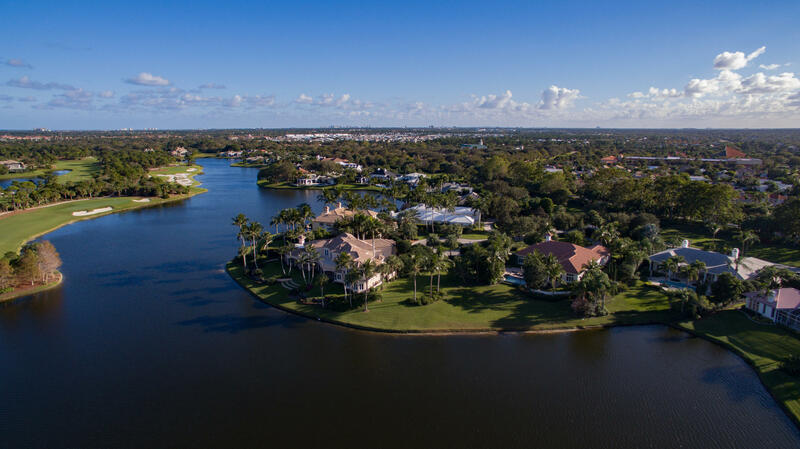 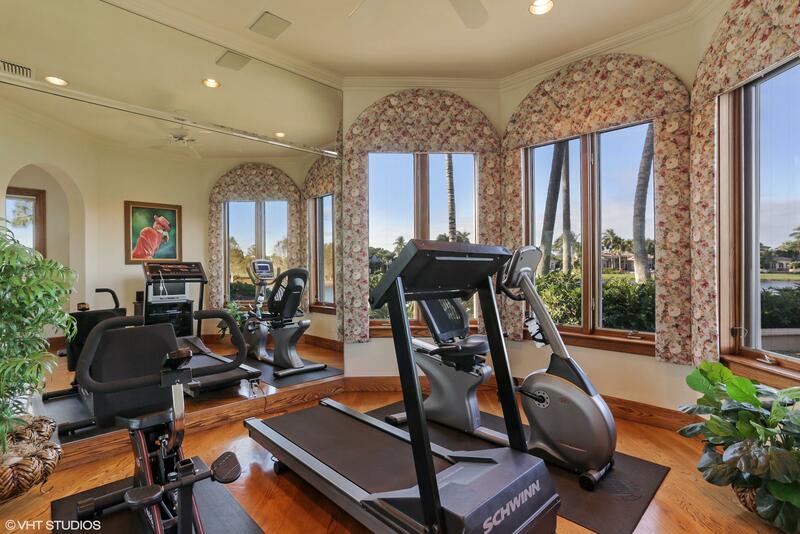 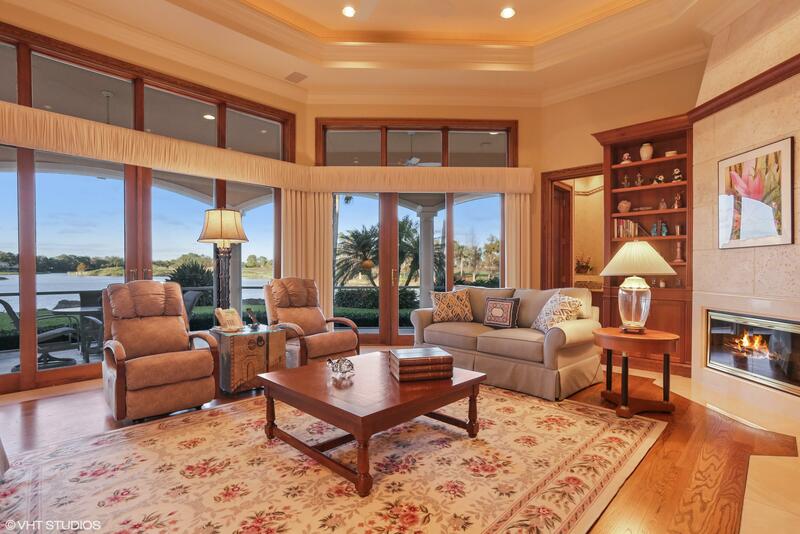 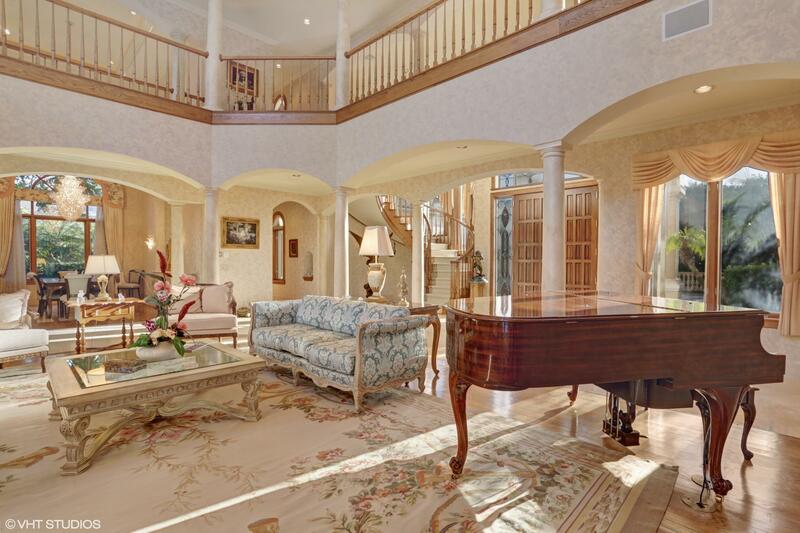 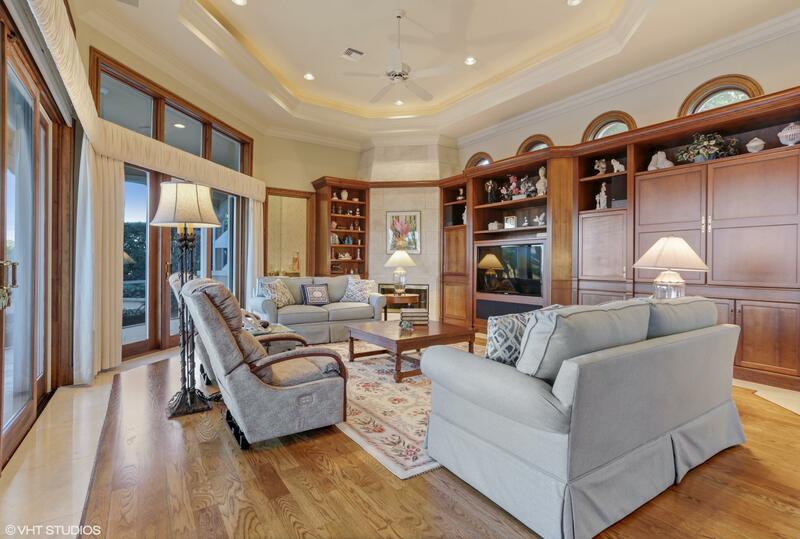 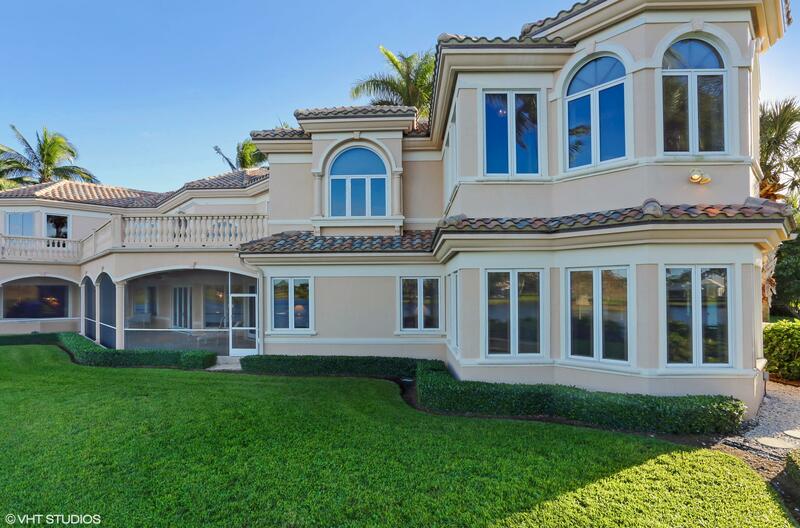 Enter this magnificent home from the expanded, pavered drive through double wood doors into the foyer where you are immediately struck by the long lake and golf course views through a wall of French doors and clerestory windows in the two story living room. 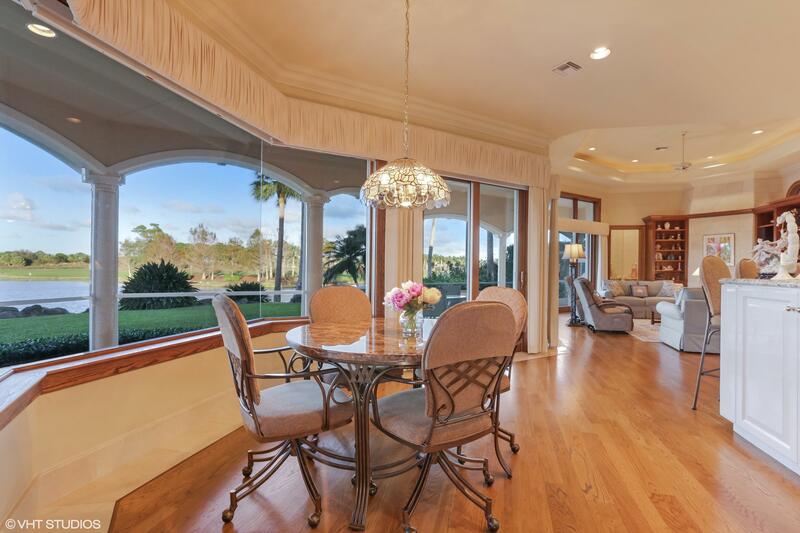 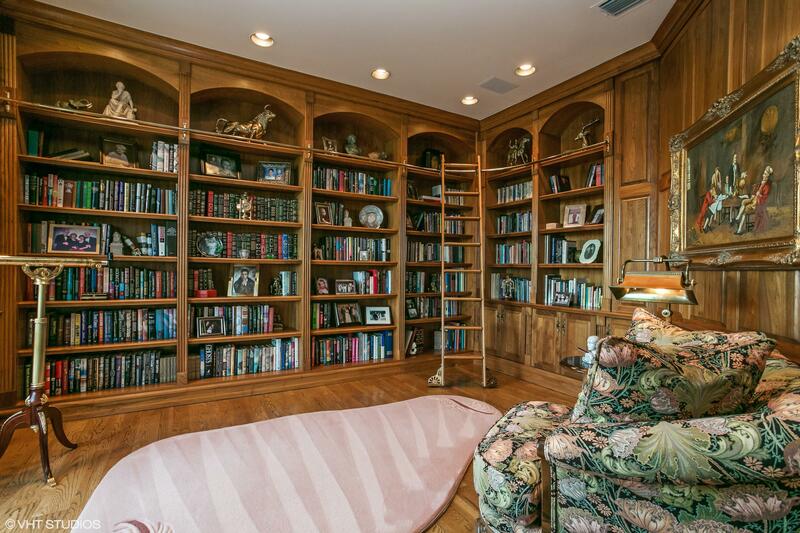 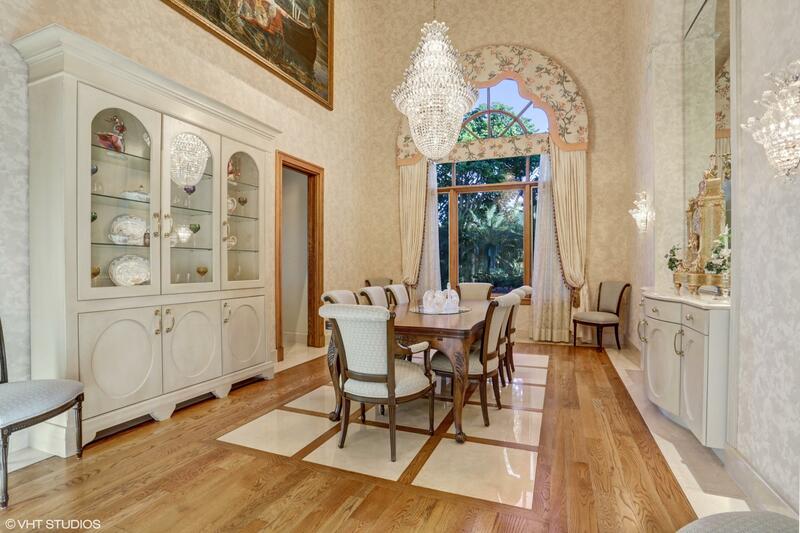 Adjacent is a formal dining room with coffered ceilings and palladium window. 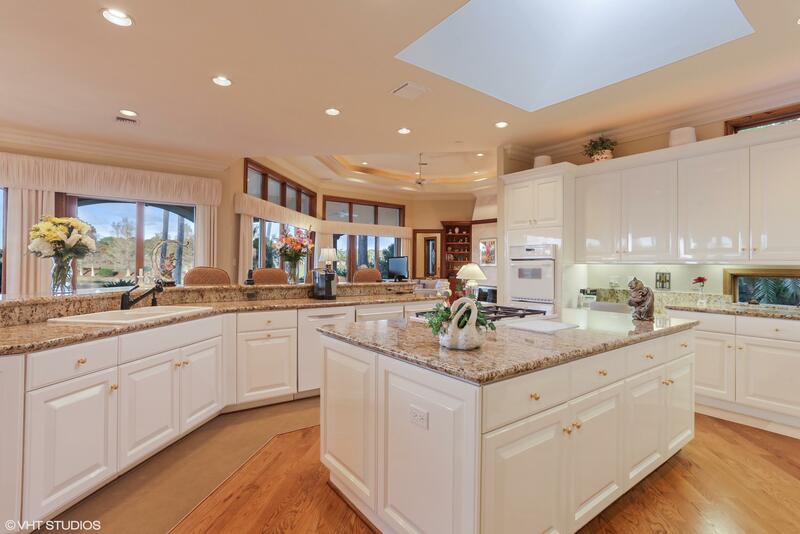 The kitchen with center island, custom cabinetry, top of the line, chef quality appliances and granite is open to the family room. 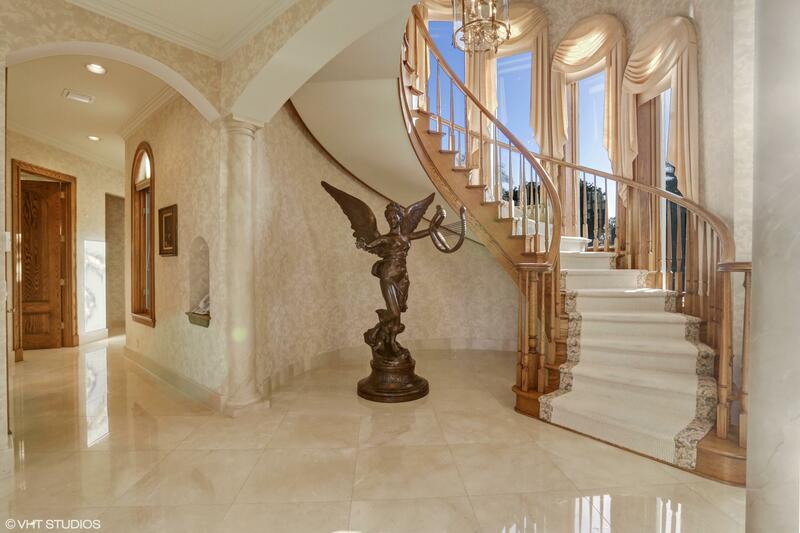 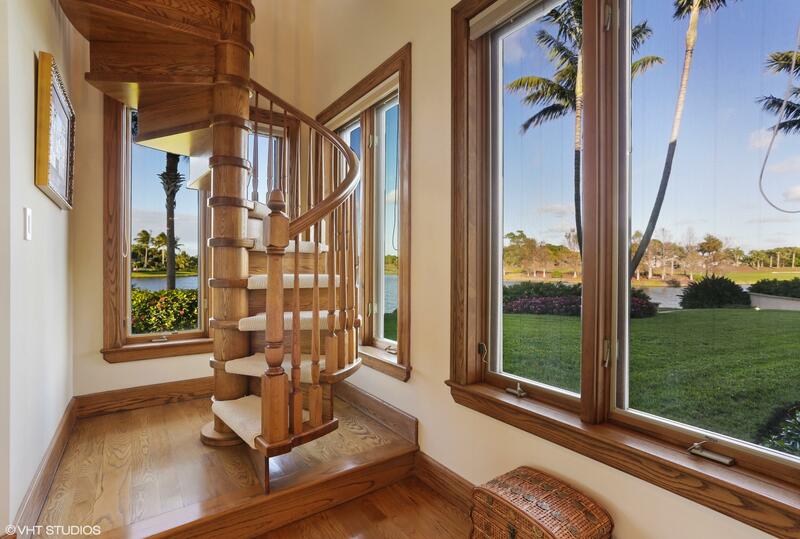 The owners suite encompasses two floors connected by a spiral staircase. 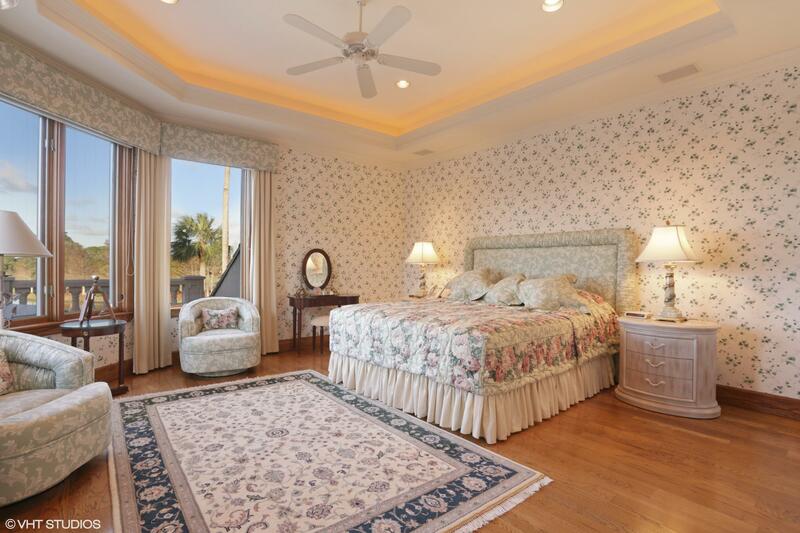 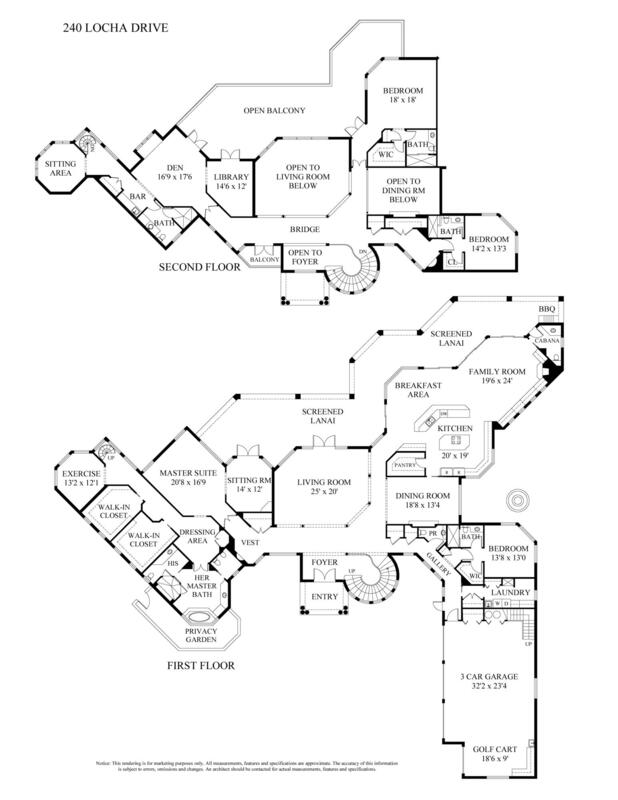 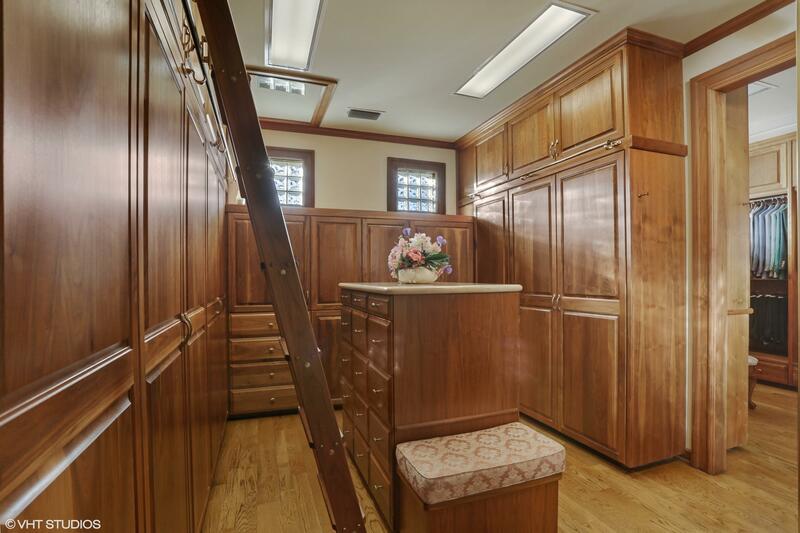 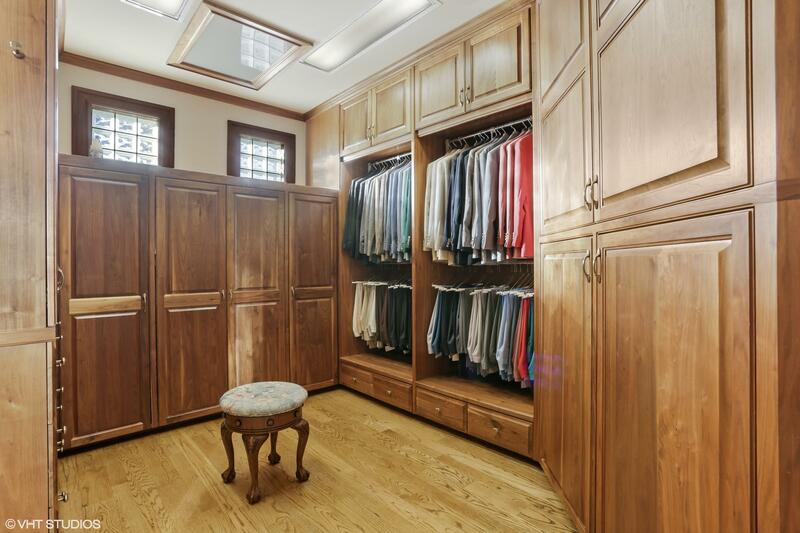 The large first floor master bedroom has its own sitting room, two custom closets, his and her baths and exercise room.